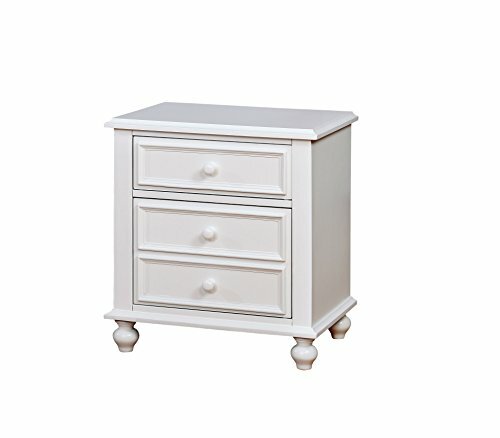 The Calderon Nightstand is distinguished by its elegant panel accents and simplistic design. Its generous overhanging top provides ample room to quickly store items and decorate while its spacious lower drawers with round pulls provide ample room to organize. Bun feet add a lavish touch to the design and are crafted from solid wood to ensure lasting use. Refine your bedroom style with the Calderon Nightstand by ionomers.